Harrogate has been named as one of the top 50 places to live in the country. Our town was ranked 41st in the list compiled by Halifax Bank, which examined life expectancy, health, employment rates, crime, education, broadband access, population densities and the weather. Harrogate Borough Council leader Coun Richard Cooper said the town can maintain its quality of life despite the reverse threat - a growing population and pressure on its busy road network. He said: “What’s great about Harrogate is it’s not preserved in aspic. "It changes and adapts and becomes better to move with the times. "It used to be a spa resort, then a conference and exhibition resort, now it has become the national and international venue of choice - the Tour de France for example and potentially the Road World Championships. 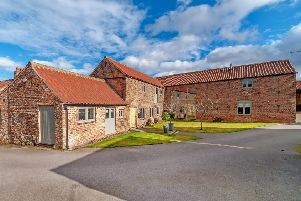 Three other areas in Yorkshire made the top 50 - Hambleton, Ryedale and Richmondshire, with Hambleton considered the best place to live in the region and the fifth greatest in the UK, behind only Winchester in the South East which tops the rankings, followed by Scotland’s Orkney Islands, Wychavon in the West Midlands and the Derbyshire Dales in the East Midlands.